Mitt Romney says he can win Michigan, which has not gone red since 1988. (CBS News) It's been 24 years since a Republican presidential candidate won the state of Michigan. Presumptive GOP presidential nominee Mitt Romney announced a new effort Monday to snap that streak. Romney will campaign in Michigan on June 19 as part of his "Every Town Counts" bus tour, where he will meet with small town business owners and families. 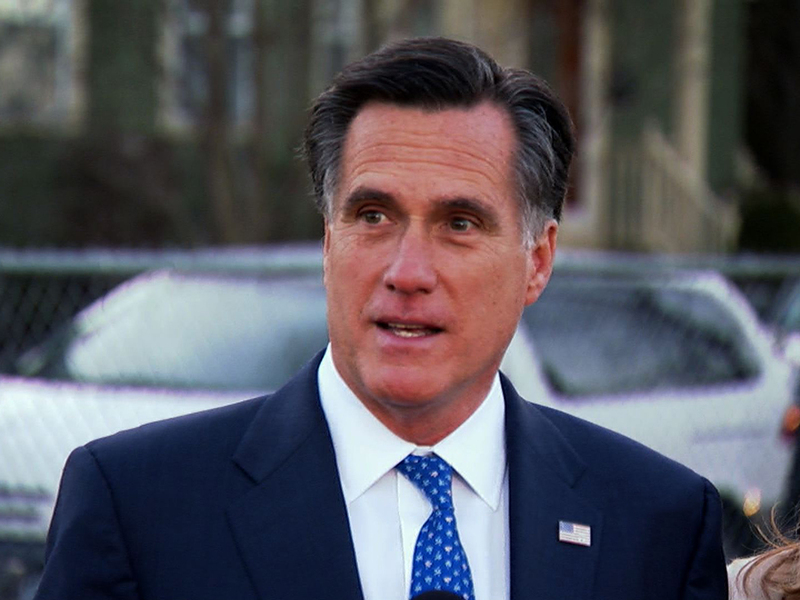 He is expected to visit at least three cities in the state, though the Romney campaign has yet to disclose the details. Romney's decision to compete in Michigan comes on the heels of an EPIC-MRA poll showing Romney statistically tied with President Obama in the Wolverine State. The survey found that Mr. Obama's job approval rating is just 41 percent in Michigan. That poll may have been an outlier: Every other poll this year has shown Mr. Obama with a clear lead in Michigan, among them a May survey from Democrat-aligned pollster Public Policy Polling that showed the president ahead by 14 points. CBS News currently considers the state, with its 16 electoral votes, "lean Democratic" due to its demographic breakdown and vote patterns. Mr. Obama won the state by 16 percentage points in the 2008 election. But the Romney campaign sees an opening, in part because of their candidate: Romney grew up in Michigan, and his father George Romney was both the governor of the state and a prominent auto executive. During the Republican primary fight for the state, which Romney won narrowly, Romney ran an ad in Michiganstressing his biography that included the "Michigan's been my home - this is personal." The June 19 visit will be Romney's second to Michigan, and he has promised to fight hard for the state. "I anticipate coming back to Michigan a great deal and fighting a campaign to win in Michigan," he told The Detroit News earlier this month. His message, he said, is the failure of the economy under the president: "It is the message across the country. Jobs are job one for the president of the United States, particularly in an economy like we have today." The Obama campaign, meanwhile, wants Romney to be associated with something very different in Michigan: His 2008 op-ed with the headline that the auto industry should have been allowed to "go bankrupt. "The reality of his position is a lot more nuanced than the headline, it's important to note. Romney advocated a "managed bankruptcy" for the industry that would have helped it cut costs, not a liquidation of it. His main difference with the Obama administration is that Romney argued that the federal government should not have directly provided the $85 billion in loans that were given to the industry as it went into bankruptcy. Romney argued the loans should instead have come from private banks, which would have been given loan guarantees from the government. He said more recently that he would have been open to offering "help coming out of bankruptcy and government support," but that he opposed "the government writing billions of dollars in checks prior to them going into bankruptcy." The Obama campaign and labor movement have been hammering Romney over his position, which they suggest would have meant the end of the auto industry. President Obama has visited Michigan 11 times to tout his role in saving the industry, according to the Detroit News, and this week his campaign is launching a new effort to showcase the benefits of the auto bailout - including to restaurants, tourist stops and manufacturers not obviously tied to the industry. "That Romney opposed the auto bailout is certainly going to hurt his chances in Michigan, regardless of the argument that he could make that his plan would have been better," according to Paul Abramson, a professor of Political Science at Michigan State University. University of Michigan political scientist Michael Traugott said he sees Romney as unlikely to win Michigan, in part because of a lack of enthusiasm for Romney among the highly-conservative Republican electorate in the Western part of the state. He said the Romney campaign is contesting Michigan in part simply because it expects to have enough money to target potential battlegrounds that might otherwise be considered out of reach. "If he thinks he has money to invest, it's a better place for him to spend time and to spend money than, for example, Massachusetts," said Traugott. In the 2008 cycle, Republican presidential nominee John McCain made a play for Michigan but abandoned the state about a month before Election Day. Yet Mr. Obama may be a weaker candidate in the state this time around, in part because he seems to be growing less popular among white voters and those who have not graduated college, groups with whom he never did particularly well to begin with. Michigan has a larger percentage of whites (79 percent) than the nation as a whole (72 percent), as well as a slightly lower percentage of residents over age 25 with a Bachelor's degree or higher. Still, the state is an uphill battle for Romney. "Unless some issue pops up that really seems to be a northern Midwest issue with a Republican advantage on it, I don't really see Michigan being in play on the presidential level," said Calvin College political science professor Douglas Koopman. "Romney has a chance in Michigan, but I would say if he wins in a state like Michigan, the Obama campaign will lose the race," adds Abramson. "It's a state that if Romney wins, he'll win a whole lot of other states."